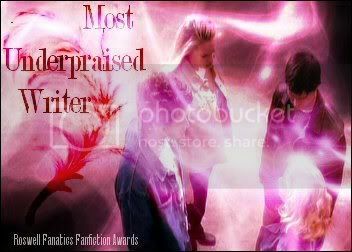 Amazing banner by RoswellOracle, simply the best! 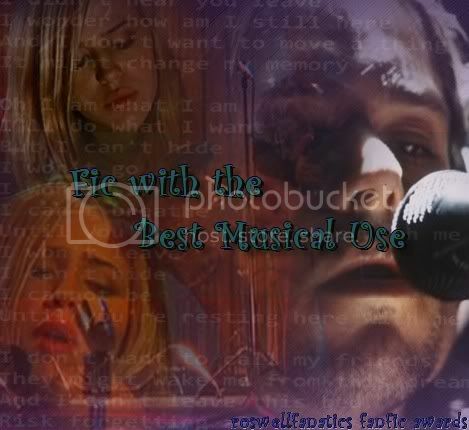 amazing, gorgeous banner by Steffi, thank you so much! Liz is a beautiful, intelligent popular senior who has everything going for her, including the heart to notice a boy who is so much for than he appears to be. Absolutely beautiful banner made by RoswellOracle, amazing, thank you so much! Two lives intersect when a struggling sensitive artist comes across a beautiful young girl who is has lost her way. He was alone, a stranger to this world...until he met her. 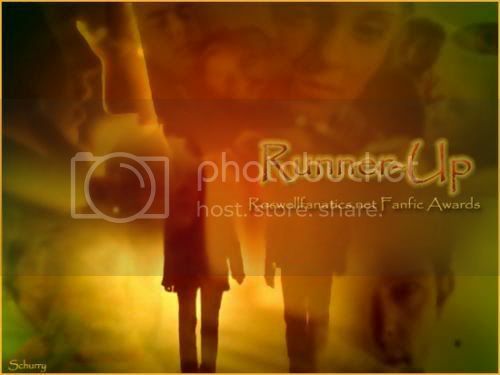 Amazing banner made by RoswellOracle, thank you so much!! thank you so much Hunter for my gorgeous banner it's beautiful! This story takes place the night of the Gomez concert. After leaving Liz's balcony Max cannot accept what he has seen and will stop at nothing to find out the truth. This my first fan fic so please be kind, and forgive my scary grammer . I may use some lines from the "end of the world" and "ask not" episodes. This story is about a beautiful shy girl who thought that love had passed her by - until one very strange peculiar day something happened that would change everything. Liz finds herself alone with a flat tire on a deserted stretch of highway…it’s hot ...VERY hot and there is no one in sight. Will someone come to save her from her unfortunate situation? Sometimes love can happen when you least expect it. 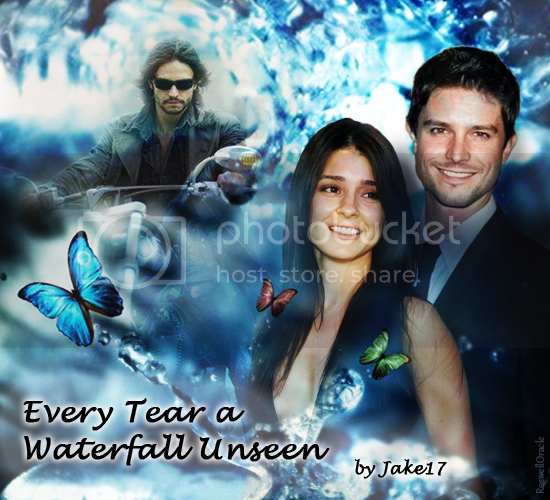 a special thank you to the very talented behrbabe for this beautiful banner! just amazing! Max comes from another world far away and is swept into an obsession he cannot control a desire he cannot escape from. How much will he risk to satisfy this unyielding need to possess this beautiful girl he has only begun to know. banner by behrbabe, thank you so much! This story takes place in Season 1. Max and Liz are deeply in love, the question is can their love survive the relentless advances of an alien who's intentions are to steal Max's heart or will Liz stand and fight for the only love she has ever known…her soulmate…her Max. This story is taken place directly after the episode Blind date. Everything that happened up to that point is true to the show. I am bringing Tess in early and switching some of the episodes around just so no one is confused. Oh and I will be using some lines from Blind Date and Sexual Healing. It's Christmas Eve at the Law Office of Evans, Montello, and Spero. It’s the morning before the annual Christmas party and Maria and Michael are determined to finally end the long suffering unrequited love of Liz Parker and Max Evans, their best friends. For three years now they’ve been hopelessly madly in love with each other but have done nothing about it. Refusing to believe that these feelings would be not be reciprocated they both walk around in a dizzy heated haze petrified at getting hurt and embarrassed. All this is about to change for on this day a plan with be set in motion for the two of them to finally discover their true feelings for each other. One thing is for certain it will either be the best night of their lives or a horrible fiery disaster. Either way this will be a night Liz and Max will never forget. I would like to thank Behrsgirl77 (Tanya) for this beautiful banner!! It's been fifteen years since Max, Tess, and Isabel left for home. Fifteen years of struggle and sacrifice devoted to one purpose...to come back - to find her - to love her. 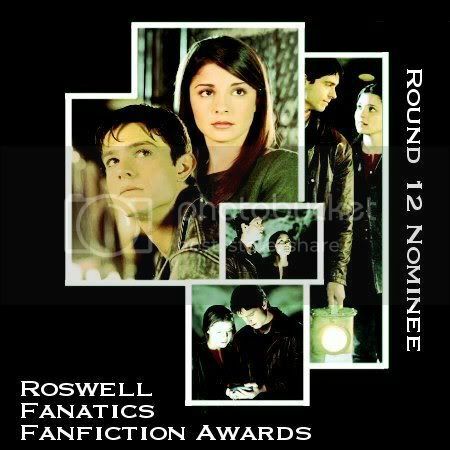 What will he do when he finds that she is married and has moved away from Roswell. Will he fight to reclaim the only girl he ever loved or will he relinguish his dream and forever watch from afar her life unfold in someone else's arms. Thank you!!!! Thank you!!!! Behrsgirl77 (Tanya) for that FREAKING AWESOME banner!!! Liz is left alone in Roswell after Max Isabel and Tess leave for home. It's been almost six months since he's been gone - a very different girl now resides over the crashdown - alone and longing - will she look to someone else for the comfort she so desperately needs. Thank you Monica (Hunter) for these amazing banners! This takes place in the first season right after the episode "Missing". It has been torture for Max to hold his feelings for Liz inside even though he believes he must to protect her and everyone else affected by his secret. Feeling afraid and lost about who he is and his overwhelming feelings for her, he begins to secretly visit her in the night. [color=#BF00BF]Ping thank you so much for making my vision of ghostly Max come true! Needing to escape the big city, Mystery writer Elizabeth Parker rents a house far up in the woods in a tiny isolated town in Maine. Not knowing the horrifying history of this abandoned old farmhouse she believes it will be a perfect quiet place to work. Little by little she realizes that she is not alone in this seemly serene charming home. Will she be brave enough to try and discover what terrifying secret haunts this house or will she run as far as she can away, even if it meant leaving him... forever. banner made by my incredible beautiful talented daughter Erika! love u!! Finding that time is not on her side Ava accidentally finds someone that heals her heart and calms her fears. After spending an unexpected passionate night together Kyle takes off after Ava refusing to let her disappear from his life. What happens when an angel from heaven breaks all the rules and risks everything for a chance to experience the greatest gift of all...love. Ping my heart, my little heart. It's like you can read my mind! thank you for another beautiful banner!! 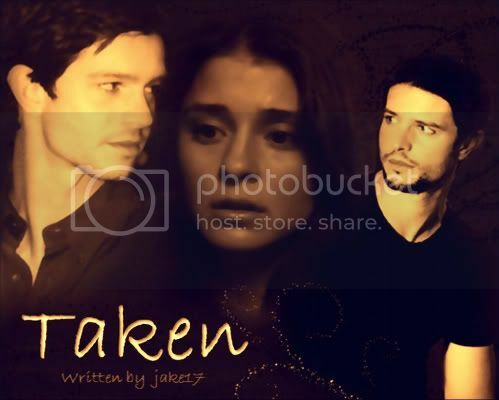 Max Evans is a sensitive talented photographer who on a chance encounter finds the woman of his dreams. What will he do when he finds that she isn’t free to love him back. Will a friendship be enough for him or will his unrequited need for her take them both to a place where they never intended to go. 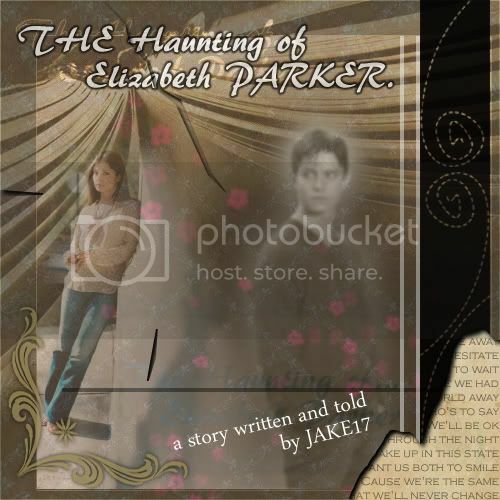 Liz Parker is on the run from a crime she did not commit, Living with her mother and her abusive stepfather a terrible accident occurred and her stepfather was killed. Fleeing from the police she gets on a bus taking her as far as she could possible go. Finding herself in the smallest of town’s she finds herself in a dive bar. Hungry scared and alone she captures the attention of a kind local bartender who through a drunken confession finds out why Liz is there. After falling asleep exhausted and drunk Liz awakens to find herself looking completely different. With her blonde hair and green eyes she hardly resembles the girl she used to be. Feeling a strong need to protect her from dangers that he all too well understands Max uses his unknown powers to change her idenity. After discovering what or who he really is and the complete change in her Liz begins to fall for him and the possibility of starting a new life. It is then that she discovers that she is not the only one hiding from a past and from people that wish to destroy them both. The amazing banner was made my sweet wonderful daughter Erika, I'm so proud of you baby! Its perfect, I absolutely love it!! Max and Liz are trapped in a horrible fire, caught in a life and death situation they both discover feelings they didn't know they had. 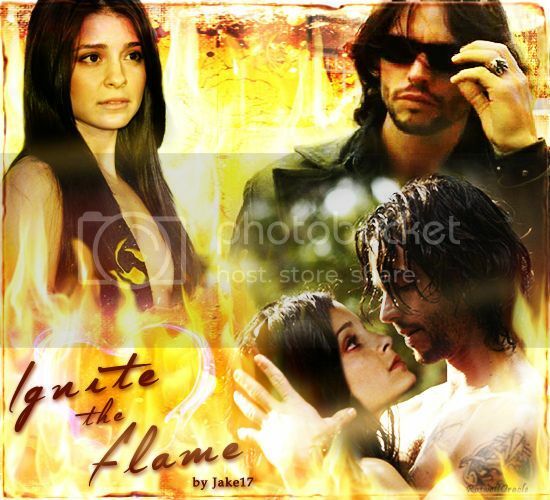 Can they hold onto what they've found even after the flames have died down? Miserable about being set up by their friends on the biggest party night of year, St. Patrick’s Day, Max and Liz soon discover that a blind date might not be the end of the world after all. In fact with a little luck it might be the best thing that ever happened to them. Is it possible to be too hurt to let someone in, or can love give you the courage and faith you need open your heart again. 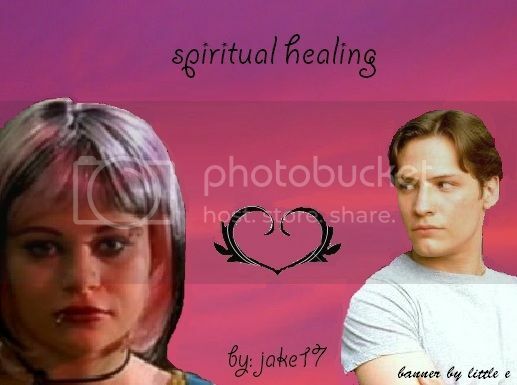 this beautiful banner was made by Monica (Hunter) I just love you sweetie! thank you!!! banner by behrbabe, so gorgeous, thank you so so much! A huge thank you to behrbabe for this gorgeous banner!! I am so grateful for you sweetie! 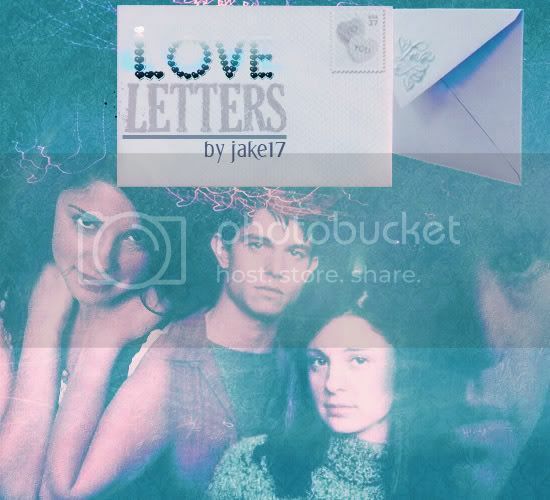 Thinking that love has passed her by Liz meets a handsome stranger, he soon disappears out of her life until one day she receives a letter in the mail that will change everything. For as long as Max Evans could remember he has only wanted one thing, to help people and serve God. With only three months to go before making his vows to become a priest he finds himself blindsided by a beautiful young girl who desperately needs his help. Will he make the choice to save her soul or will he throw away the only life he has ever known for the chance at something he never expected…love. Cupid Quits right before Valentines Day, and the hope of all soul mates rests in two people falling in love... unfortunately they hate each other. 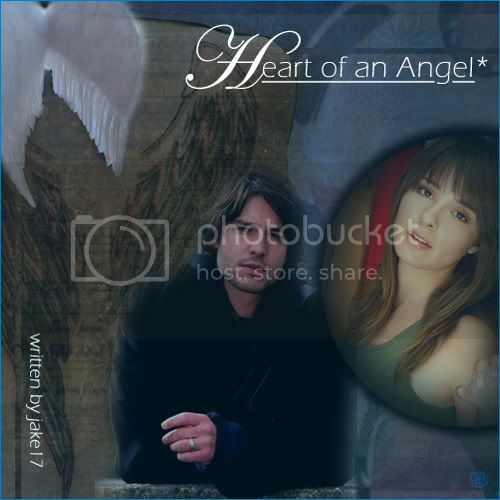 Is love doomed or can two people from completely different walks of life find the spark that already lies within them and restore the faith of a very disillusioned winged little angel? 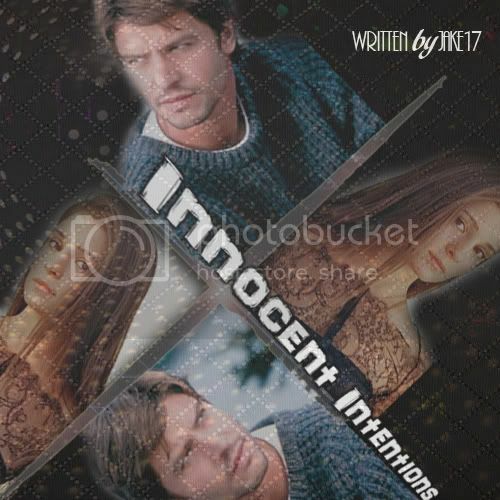 This is a one shot fic written after the episode “Summer of 47”, when Michael interviews Hal, the old man that he finds out saved them when he was in the pods. Figuring out that this human risked his life brings up feelings he has for a certain girl, feelings that never occurred to him before or if they did he buried them deep inside knowing it could never be. Driven by years of pain and hatred Zan has dreamed of one moment. The time when he would bring vengeance down on the man that had destroyed his mother and forever changed his life. Will it be as easy as he imagined? Or will the love an innocent girl be enough to heal the wounds he has carried for so long and quell his relentless need for the one thing he has craved for since he was a boy…revenge. This takes off directly from the middle of the episode “It’s too late and it’s too bad” right after Max leaves Isabel at the school after he tells her she is not allowed to go away to the college she wants, because it isn't safe. He is driving down the road when he sees Liz sitting on the fence waiting for a cab to take her to the airport so she can fly to Sweden in hopes of finding out who killed Alex. what starts as a wrong number turns into something two people never expected...love. this story takes off from the episode "blood brothers", what happens to Max if instead of coming out of the accident with the jeep fine, something horrble goes wrong... what happens if he wakes not knowing who he is or worse ...what he is. 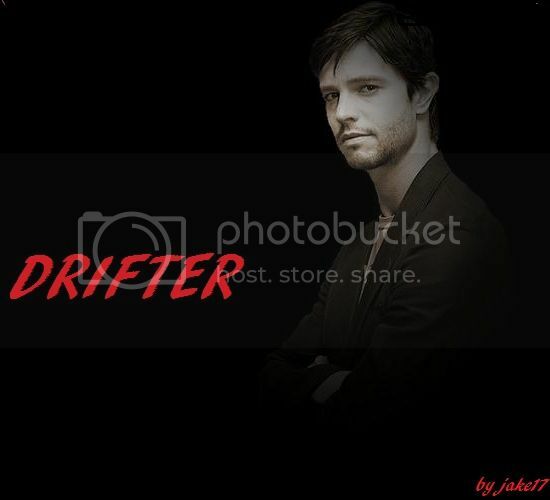 knowing that Max has amnesia what will Isabel and Michael do to protect their secret from coming out and what will LIz do to protect the boy who saved her life...the boy she loves..
thank you to the amazing dreamer19 for this lovely banner! Returning to your hometown after ten years can be overwhelming for anyone, but for Max Evans it meant facing a past that had almost destroyed him...and a girl that he could never forget. In lieu of a prison sentence for a minor assault charge a lenient sympathetic judge feels a year of counselling is a better fit for a young man whose has had a very tough abusive childhood. After several failed attempts with respected seasoned therapists his case has fallen on the desk of Ms. Elizabeth Parker, a young bright caring beautiful recent graduate with very little experience, but a heart of gold. Faced with the choice of dealing his past or living out the next eighteen months in prison Zan must deicide whether to put his trust in someone who truly wants to help him or fall into a world he may never recover from. Max Evans is the glue that holds his championship college hockey team together, with breakneck speed and eagle eye precision he racks up more goals then everyone on the team put together. With scouts from the Boston Bruins at his doorstep it would seem that all his dreams were about to come true until one tragic accident changes his world forever. Incredible banner created by behrbabe, thank you so much. I LOVE it! This is truly a work of art! This story picks up towards the end of the episode Interruptus, if you remember Max and Michael run to save Isabel from Kivar who wants to possess her as Vilondra and take her back to Antar, in this story Max in a struggle to save Isabel gets trapped into the portal with Kivar and ends up on an apocalyptic Antar. He spends ten years starving, lost and alone fighting for his life in a war torn planet where Kivar and his followers are in a constant battle with rebel forces trying to assassinate him and take back their home at any cost. Captured by the leader of the resistance they strike a deal with the one they know as Zan (Max), the King who fell at the feet of Kivar leading to the mass murders, forced slavery and the destruction of their once beautiful planet. In an exchange for a huge sacrifice that will help them in their fight against Kivar, but will nearly cost Max his life, they agree to return him to his home planet Earth. After ten years of horror he finds himself near death back home but far from Roswell. The story continues on with him finding his way to the others and the struggle to live in a world he no longer understands or belongs, and to the love of a girl who's memory was the only thing that drove him to struggle everyday to stay alive in an unimaginable hell. Set ten years after graduation, and the slaughter of most everyone they loved, Max and Liz struggle against a choice that was made to save her life. While working for a traveling carnival Max tries to hide a dangerous secret while falling helpless for a beautiful girl that has a secret of her own. Last edited by jake17 on Sat Jul 30, 2016 1:50 am, edited 398 times in total. Update for A Quiet Passion is now up. I just want to thank everyone for all the nominations I recieved! I was truly shocked It means so much that you took the time to vote for me. Thank you from the bottom of my heart a thousand time over!! Thank you Hunter so much for your sweet message!! OK clearly I have fallen and bumped my head and are having some kind of wonderful hallucinations!! I don't think you'll ever really know how much all this means to me! AGAIN, THANK YOU, THANK YOU, THANK YOU !!!!!! Last edited by jake17 on Sun Oct 26, 2008 2:15 am, edited 1 time in total. omg Jan you kill me! what a great surprise seeing you here, but I think you find my updates fastest then I can post them here! big hugs to you Jan!! AWESOME BANNER BY THE FABULOUS MONICA!!!! (HUNTER) LOVE YOU !!!! Thank you for all my birthday wishes!! OMG Jan I would do anything to help you! You are just amazing! thank you! 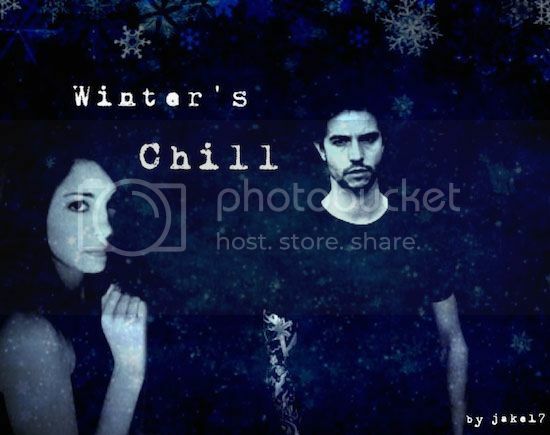 Reckless has been updated and I have a new story on the UC board called Taken, I also took a challenge by dreamer19, the story is called The Fire Within.. chptr 1 is already on the AU board.. I'm glad to see your new story under the COMING SOON section. I can't wait to read it!!! I LOVE all of your stories Carrie as much as I love your feed backs ... I see you've won awards for the funniest feed backer!!! That should tell you something!! Thank you for being interested in my Story that's coming soon 'Love Letters"
I just don't know what to say to everything else, you make me feel so much better about everything, I am just so lucky to have you as my friend. 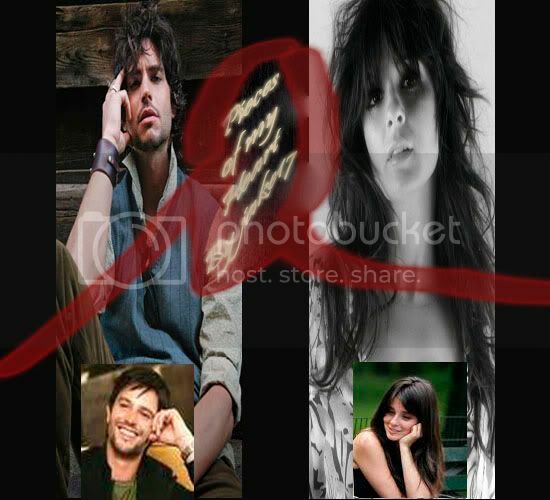 That is the best thing to come out of writing "A Simple Twist of Fate" my friendship with you! love you so much sweetie!! 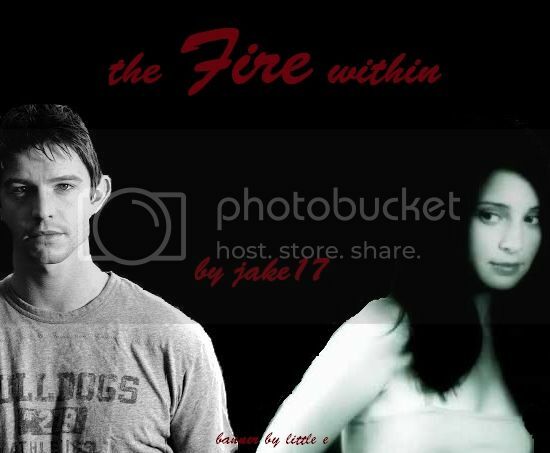 The update for A FIRE WITHIN has been updated! BANNER BY THE INCREDIBLE, BEAUTIFUL, UNBELIEVABLY TALENTED HUNTER! MONICA I'M AM FOREVER IN YOUR DEBT FOR GIVING ME THE UNENDING INSPRIATION TO KEEP WRITING WITH YOUR STUNNING DEPICTION OF MY STORIES. THANK YOU SO MUCH FOR DOING THIS FOR ME... YOU ARE SUCH A KIND AND GENEROUS FRIEND AND I LOVE YOU! Last edited by jake17 on Thu Jul 02, 2009 8:26 am, edited 1 time in total. pijeechinadoll wrote: priest?????!!!!!!!!!!!!!!!!!! LOL did i inspire a story ^^ BIG GRIN! sooo happy your back Ping! !